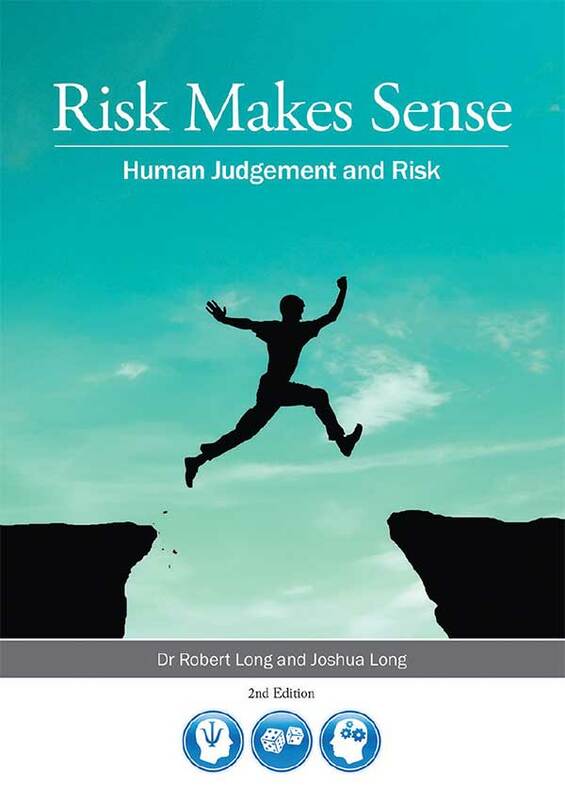 It is rare that a book comes out in the risk and safety sector when I wish I had written under such an excellent title. Usually, risk and safety books carry titles about error, compliance and management but not this book by Michael Kruger. Kruger has just released this excellent Introduction to the Social Psychology of Risk in Europe entitled ‘It Takes Two to Tango, Reflections on Safe Behaviour’. This is the first book of its kind in Europe. The first thing that captures me about this book is how it ‘frames’ the challenges of risk and safety. Tackling risk and safety issues is framed in the metaphor of a ‘dance’. This stands in distinction to the dominant process in risk and safety, the ubiquitous checklist. Unfortunately, in the formal history of risk and safety the excesses of checklists has now become its own problem. Whilst checklists are helpful, over time they have become excessive and create new by-products in the safety industry of ‘tick and flick’, ‘flooding’, ‘dumb down’, ‘overconfidence’ and ‘anti-thinking’. The notion of a dance is both social, creative and active, it has a focus on being in relationship with another (and others) and, takes us away from mechanistic models in how to tackle risk. 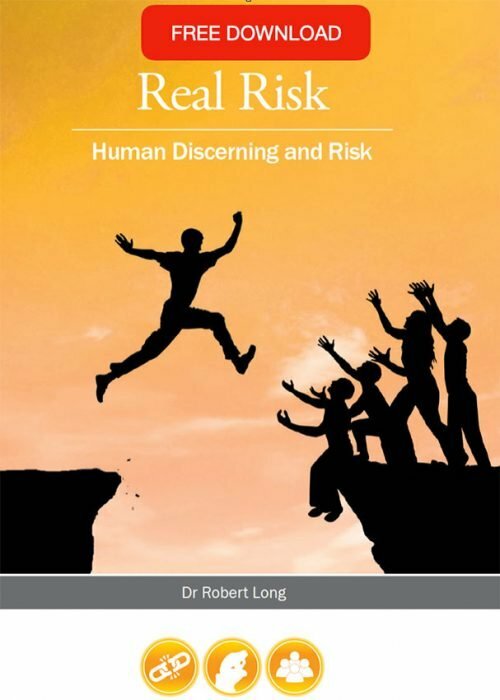 The author Michael Kruger has become a close friend over 5 years since he studied the Social Psychology of Risk (SPoR) with me in Australia and since I commenced coaching and education work with him and colleagues in Europe. We share an office in Linz Austria. 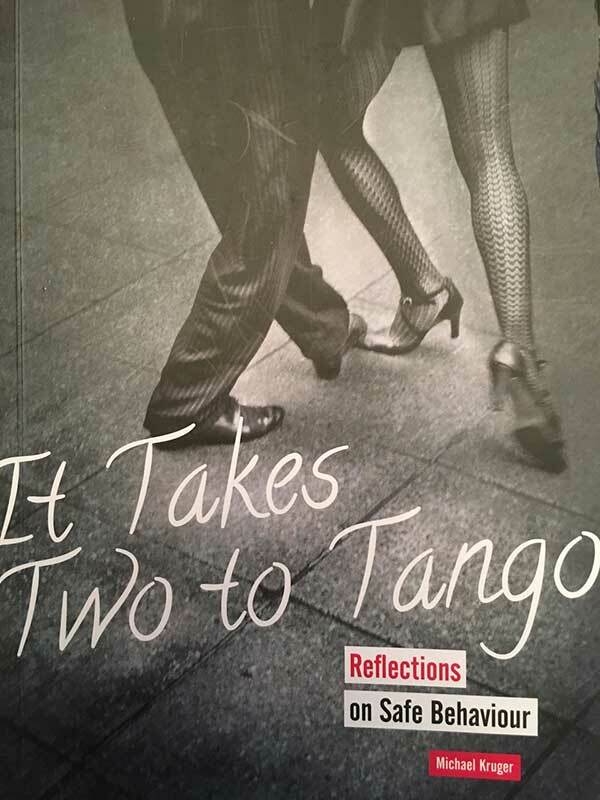 In this book It Takes Two to Tango Michael has translated the complexities of SPoR into an easy to read introductory text on how social arrangements affect decision making in risk. Michael has a depth of experience in risk that few could match. He commenced his career as a lawyer in South Africa, a policeman (in an elite unit), helicopter pilot and a judo champion amongst his many other accomplishments. He is currently a Work, Health and Safety Manager for a large polyofins/base chemicals company in Europe. The book is theaded with many personal stories and illustrations about how people embrace and manage risk. The focus is strongly on understanding the individual and collective unconscious, which is its strength. Whilst there are parts of the book that I disagree with eg. the heart is just a pump and the binary nature of the unconscious, the overall nature of the book is both profound and helpful. The metaphor of the dance throughout the book is implicit (rather than explicit). For example, the emotional nature of dance, performance, unconscious heuristic thinking, engagement, relationships, supporting others, creativity, adaptability, ‘numblicity’, agility, learning, discovery and innovation are held in tension with the need for systems. The discussion in the book tackles many of the gems of social psychology including: the nature of heuristics, collective unconscious, attribution, sunk cost, risk homeostasis, availability, cognitive dissonance, in-out groupness, overconfidence, correspondence bias and much more. I am a very poor dancer and was brought up in a religious cult that associated dancing with the evils of sexual gratification. Imbued with an Augustinian distain for the body and movement it took me quite some time to reject that indoctrination and discover the beauty and fluidity of dance. The wonderful metaphor of the dance is a perfect foil for an industry consumed with regulation and engineering as if all behavior is part of a behaviourist machine. Kruger shows that tackling risk is far more complex and ‘wicked’ than is stated by mechanistic metaphors. One of the temptations for the reader of It Takes Two to Tango is to drift back to systems and control of the unconscious (pp. 142-143). Whilst developing a new intelligence about risk and the unconscious increases wisdom and, balances a mechanistic approach to risk, there is no perfect formula for predicting or controlling the unconscious. One of the profound characteristics of the Tango is the nature and length of the pause. As the dance develops the dancers pause together and generally pivot and take a new direction. This is the power of the concluding structure of Kruger’s book. 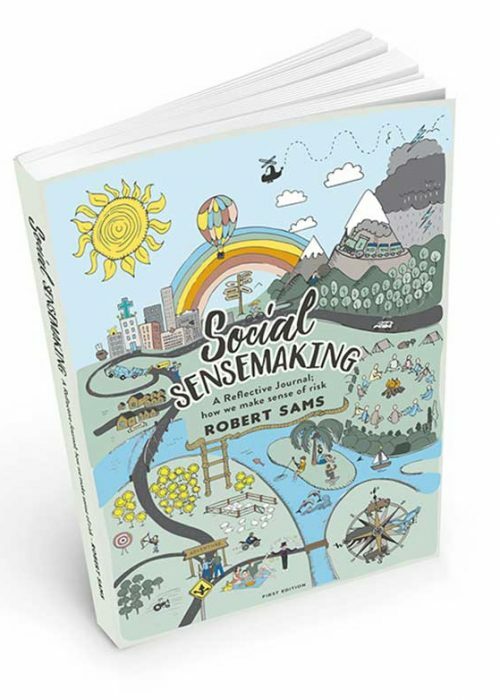 He provides a guide (using SPoR principles) for a new way of thinking, conversing, pausing and engaging with others about risk. As a first time author Kruger has been exceptional in the way he helps the reader ‘tune-in’ to the basics of SPoR and the challenges of leadership in risk. Just as the book started so it concludes with the dynamic of the dance. Kruger tells the story of a brandy sub-culture in the police service and how he and a mate helped modify a toxic sub-culture through awareness, making deviance conscious, identifying issues, naming trade-offs, countering biases and reframing social context. Whilst all this is good and is often successful, the reader needs to remain conscious of the dance. Not all steps are the same length, dancing at times looks uniform but there is always variation. Dancing teaches that everything involves adaptation, holding hard and rigidly to dance steps changes the Tango into a Military Two Step. Whilst ‘drill’ is good in some contexts, it is unhelpful in others. There are dozens of styles of dance http://phrontistery.info/dance.html and leadership in risk involves a consciousness of variability, trade-offs, by-products and trajectories in the way organisations tackle risk. 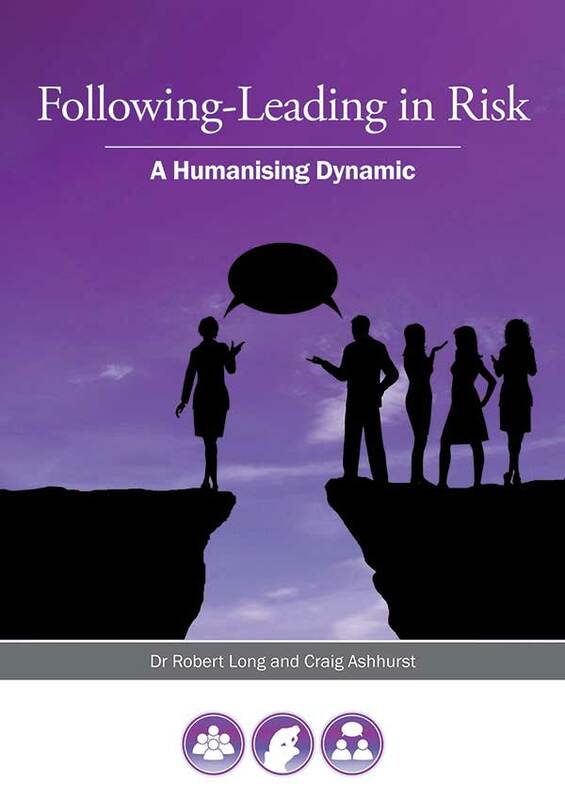 In the closing stages of the book Kruger’s discussion seeks a refreshing new approach to understanding and tackling risk, he uses the image of a traffic light to help analyse and focus on this new way of thinking. Again the metaphor of the amber light (the pause) is instructive. There are times when tacking risk is simple, just ‘stop’ or ‘go’, but there are other times when we are caught in the in-between, when things are not clear and a decision has to be made, we must ‘entertain doubt’. This is where Kruger concludes the book with the power of the skilled conversation (in framing, priming and anchoring). The discussion here draws us to the importance of understanding self, context, others, listening and the dynamic and fluidity of the dance. The power of the book is that we now dance with new knowledge, vigor, skills and understanding, we still dance the Tango but we are much more professional about it.